Various activities have been done since 2011. Moreover from the foundation of NPO corporation we have concretely started to do a cultural heritage preservation campaign of retro games. 1. Repairing game equipments, studying maintenance technologies, developing and ensuring maintenance parts. Training and recommending engineers. 2. Establishing appraisal of old games software and machines. 3. 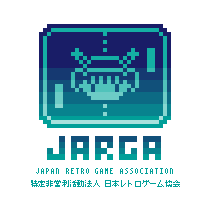 We will create a retro game museum where Japanese game culture can be introduced to all over the world. 4. Recognizing engineers who work with video games and who protect the retro games culture. for the Guinness World Record "biggest video games collection". July, NPO corporation application has started. ・The representative of the retro games store Radio stock was born on October 31, 1972. ・On July 2013 there was a personal exhibition of "1000 famicoms". ・No one did it from 1997. The home consoles discarded by people has been collected and the stock has been guaranteed by the best timing. ・Considering the collaborations with Osaka "Game Tantei-dan" and Akihabara "Super Potato Retro House" he has an experience in negotiating with various retro games dealers. ・2002, in Indonesia and Taiwan he produced his own disk belts and 64 controllers spare parts. This was a revival of retro games equipments. ・He bought bad retro games from game companies in order to fix them and he cleaned up the closing stores stocks. "Furai's SHIREN" for Super famicom. ・The retro games researcher was born on April 5, 1977. ・He owns more than 18,000 kinds of games software. As there weren't accurate data about games software and their version, he did some investigations about them. ・He contributed widely in the compilation of the premium specialized magazine "Fami Complete". He also wrote columns for game magazines and he borrowed his knowledge to the media. ・He resold the premium software "Judgement Silver Sword" (Wonder Swan edition). ・On February 2015 he started the application for "the biggest video games collection in the world" Guinnes World Record with 15732 different types of video games.